We’ve adapted our MTN BOX® lid to cater to the Spektrum Series SM’s new design, making it slightly smaller in height to proportionately fit the case’s size. 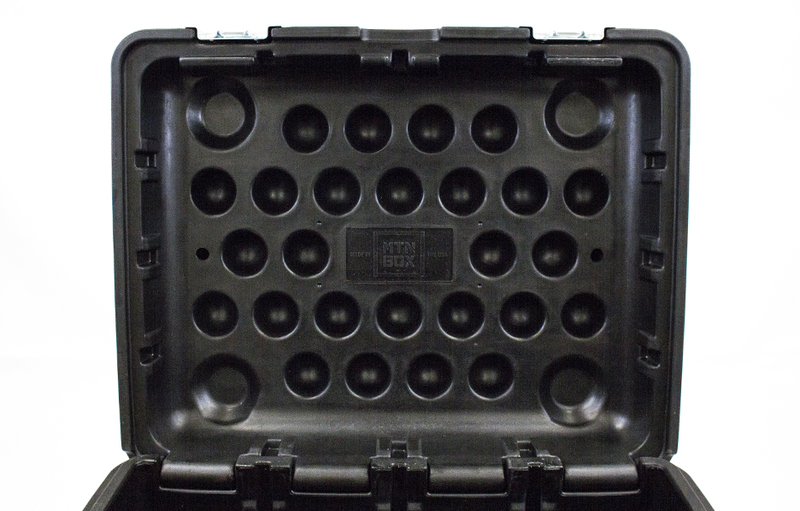 On the interior of the lid, there are 4 threaded holes that can serve a variety of purposes, all of which we can custom implement for you. For example, mounting small hooks to these areas can allow you to hang your chain hoist hooks to the lid, making them always easily accessible. Also, we’ve extended our unique insert/channel system to the lid of the case, instead of only the interior walls. This will allow inserts to completely surround and cradle your hoists and gear, keeping them snug and protected in the instance that the box is on its side.